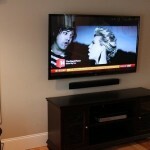 In addition to wall mounting TV’s SJS Handyman also installs home theater systems. Were experts in hiding wires whether it’s under the carpet or in the walls. 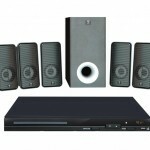 Many times the full experience of your home theater is never achieved because of improper set up. Let’s face it, who wants to look at wires that are running across the carpet or taped on the walls! 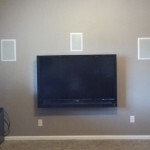 Let someone with experience like SJS Handyman install your home theater system correctly with all the wires concealed in the walls or under the carpet. Would you like to get rid of your bulky speaker boxes and install some clean looking in-wall speakers? Or have you wanted to install some outdoor speaker on the back patio but have no way to run the wires to them. This is something we have done many times for our customers and can do the same for you! If you’re looking for speaker installation in San Marcos or nearby please call us. If you’re looking for home theater installation in San Marcos or nearby, call us at 760-580-5224 or request a free quote today. We’d be more than happy to assist you. See what people are saying about SJS Handyman. Read testimonials from our many satisfied customers.